weather I had experienced. When I returned in the 1990s after visits to the Bahamas, Jamaica, Hawaii,​ etc. I determined I wanted a vacation home in a place that welcomed us with open arms instead of resenting us. I spent the next 2 weeks looking at properties and purchased a retirement home. Four years later, I moved here permanently and have never looked back. The average temperature year round is 78, the cost of living is lower, and we have outstanding health care. Where else can you walk your dog to the beach and have the opportunity to see breaching whales, schools of dolphins, jumping rays, pelicans in flight drafting off the cresting waves!!! It was the best investment and life style choice I ever could have made. Every day is a gift that keeps on giving. Linda Miller spent 21 years running mortgage banking operations in Tennesee, Maryland, Michigan, Wisconsin, Indiana, Virginia and Texas for Citicorp and Bank of America. 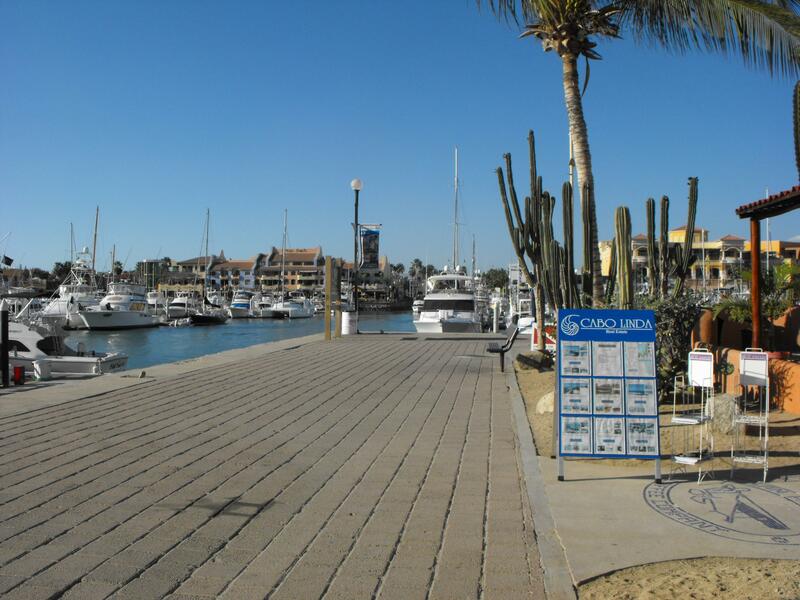 She purchased a marina condo 27 years ago and has owned and operated Cabo Linda Real Estate in Cabo for the past 21 years. Her company motto "Our Satisfied Customers Say It All" she accounts for her success. If you go the extra mile for your clients they will be your clients for life and will refer their friends and family. It is all about the long term relationships and lasting friendships with both her buyers and sellers. Linda is a NAR and AMPI member and certified CIPS/ABR and served on the Board of Realtors and Honor and Justice Committee. 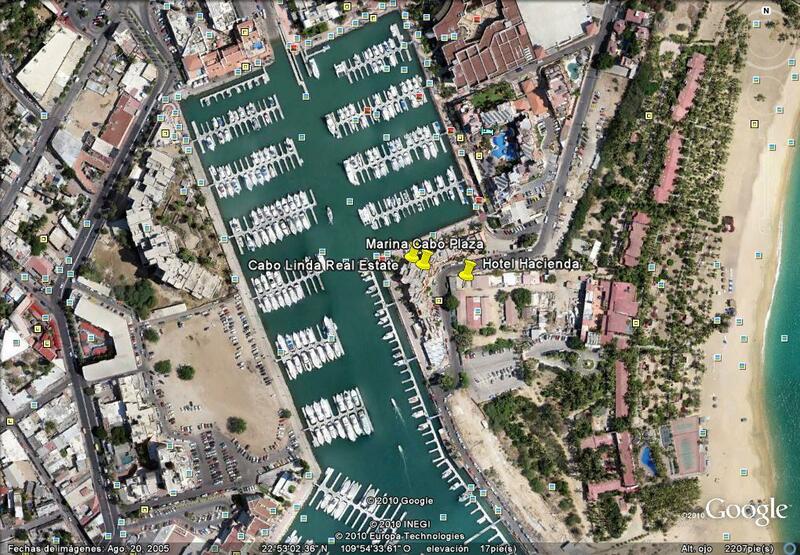 Cabo Linda Real Estate Sales is located on the marina between Marina Fiesta and Breathless Resort in Marina Cabo Plaza.